SAP Business One resellers are SAP partners dedicated to the sale and support of the ERP suite SAP Business One. These value-added resellers often add additional services or features to the platform based on the client’s needs. A SAP Business One reseller aims to save clients money and increase their productivity. SAP Business One is an enterprise resource planning (ERP) software for small to medium-sized businesses that helps manage tasks commonly performed by human resource, financial, and operations departments. This platform has wide-ranging capabilities and can be used to improve accessibility and collaboration, as well as automate processes within a business. SAP Business One integrates with other SAP products such as SAP HANA. SAP Business One consulting firms can be utilized for additional support and training. Clients First is an authorized reseller of SAP software solutions. Consensus International is a proud SAP Business One partner. Crave InfoTech is a global software and technology services company headquartered in New Jersey, providing a full spectrum of software services. 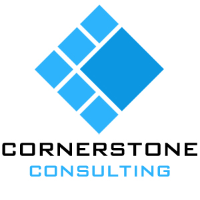 Domain Consulting Group, Inc. is an information systems consulting company. 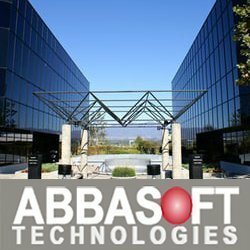 For over three decades, Effective Computer Solutions has been servicing clients nationwide. Equal-Plus is a SAP consulting services and software provider. Forgestik is a SAP Gold Partner specializing in Business ByDesign and Business One business management software solutions for small and medium sized businesses. G3G is an award winning SAP Technology partner focused on delivering tangible value. Long Business Systems helps businesses manage technology for success. Megawork is a consulting company specializing in products and services oriented to the information technology area. Michell Consulting Group works to improve business performance. MTC Systems implements SAP Business One to help its customers achieve operational efficiency, build a scalable management system that is poised for rapid growth, and eliminate redundant data sets, unifying the entire organization under a single system. Not only can customers thus increase efficiency, with their SAP ERP they can also have advanced planning and prediction capabilities based on company data. MTC Systems is a certified SAP Business One implementation partner both in the USA and China. With hundreds of successful ERP implementations globally, it excels at system implementation, support, and training. MTC Systems focuses on the needs of manufacturers, especially in the food and chemical industries, but with experience in integrations and add-ons for production, WMS, MRP, retail POS, eCommerce sites and more, MTC Systems is ready to help its clients with any number of configurations. MWA Intelligence, a SAP Business One Gold Partner, delivers enterprise-class and edge Machine-to-Machine (M2M) and Machine-to-People (M2P) solutions to better serve the imaging industry. As an SAP Gold Channel Partner, and as one of the top SAP cloud partners in the world, Navigator has strategically partnered with SAP to deliver solutions, SAP Business ByDesign, ideal for small-midsize companies. Additionally, Navigator provides award-winning professional services, including installation, implementation, consulting, training, and US-based development. With more than 500 customers, and more than 100 years of combined experience, Navigator has a proven track record of on-time, on budget, and fixed-price implementations – all of which have enabled Navigator to serve as SAP’s top partner for the last 10 years. Navigator’s vision is to create a trusted relationship with each customer by delivering business solutions which create value and superior competitive advantage. Since 1994, Navigator has helped more than 500 companies like yours streamline operations and improve their business through the use SAP’s proven technology ideal for small-midsize businesses. 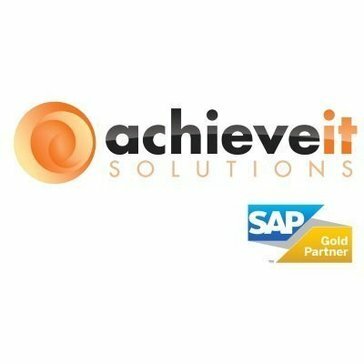 Pioneer B1 is a deeply experienced thought leader and SAP Gold Partner that tailors SAP Business One solutions for clients to simply and easily create a system that rapidly scales their business. Produmex is a global Software Solution Provider for SAP Business One, SAP's ERP solution for Small and Midsized Businesses. Project Blue is a technology consulting company specialized in SAP Business One solutions. ProjectLine helps its customers to become more efficient, more productive and more profitable, using SAP Business One. Softengine specializes in providing collaborative business solutions to the wholesale distribution/importer and manufacturing industries. Stellar One Consulting provides business and software experts with the ability to maximize your software investment and improve operations. Support One focuses on SAP Business One and iVend Retail Management, for small and midsized companies. Tegrous is an SAP Gold Partner focused on business transformation by aligning people, process and technology. Third Wave Business Systems specializes in the implementation of business management systems to provide small and mid-sized enterprises with the solutions to streamline operations, automate processes, boost productivity and reduce costs. VistaVu Solutions is a rapidly-growing provider of transformative business management solutions, focused on the North American energy services industry. WiSys Supply Chain Management solutions integrate seamlessly with Macola and SAP Business One ERP Systems. 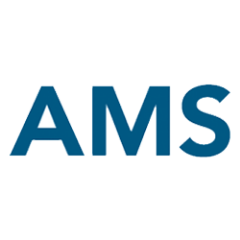 WiSys adaptable tools are purpose-built to automate unique business processes and allow agile business decisions based on real-time data. Hi there! Can I help you find the best SAP Business One Resellers solutions?